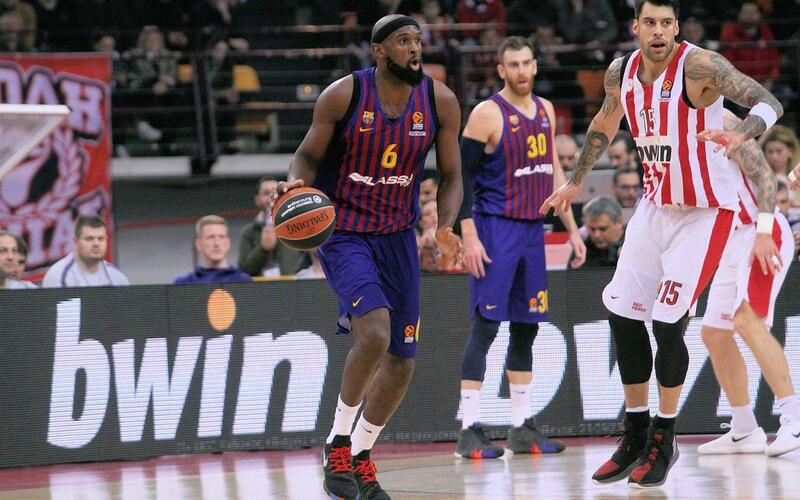 Great win for Barça Lassa away at Greek giants Olympiacos 76-55 in the 21st game of this season's Euroleague. Svetislav Pesic's team overcame a direct rival in the competition and now they find themselves in 5th position in the group after a run of 12 wins in their last 14 contests. Barça Lassa's start was spectacular in Athen and they roared into a 27-6 lead in the early stages. Singleton, Tomic and Blazic were all outstanding in the opening exchanges. In the second period Oympiacos scored 15 unaswered points to claw back the deficit. However, a three pointer from Blazic helped restor a 10 point lead at the break, 38-28. In the third period Barça Lassa's strong work on defense kept the Greeks at bay and Singleton, who top scored in the game with 18 points. maintained his form on offense. At 55-43 up at the start of the final quarter, Pesic's team still had work to do. Excellent defense was again the key feature of Barça's game in the fourth quarter and the 76-55 win means they have a head to head advantage over Olympiacos as they are level in 5th place with the Greeks in the group. Olympiacos: Williams-Goss (9), Spanoulis (7), Timma (1), Milutinov (13) and Printezis (6) -starting five-. Toupane (4), Strelnieks (13), Vezenkov (-), Papanikolau (-) Mantzaris (-), Bogris (2) and Leday (-). Barça Lassa: Pangos (9), Singleton (18), Blazic (8), Claver (3) and Tomic (10) -starting five-. Seraphin (8), Hanga (11), Heurtel (7), Oriola (2) and Kuric (-).